I wanted to run a virtual Citrix License server in my LAB. 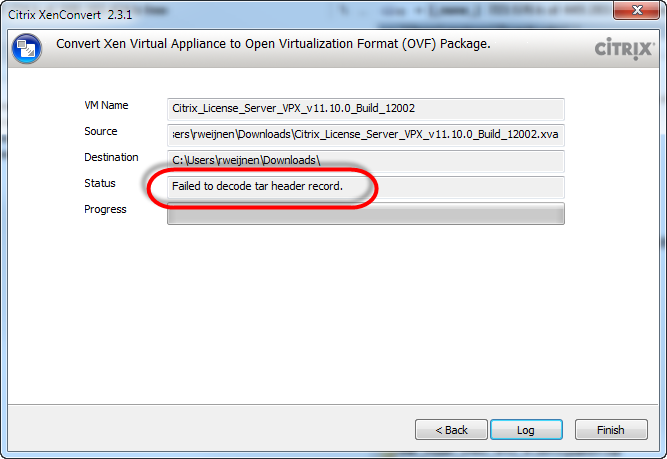 Unfortunately Citrix only provides the VPX License Server in XenServer format (.xva). If you want to run the VPX on VMware ESX or Microsoft Hyper-V you need to convert it first. 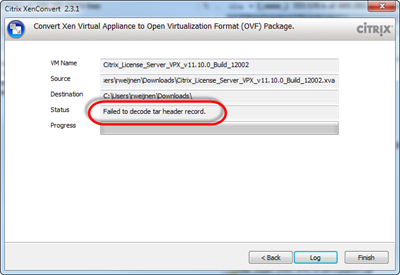 The option to convert a Xen Virtual Appliance to OVF format was removed in XenConvert 2.4.1. So for a conversion you need version 2.3.1. I recognized the ZIP header signature so I renamed the file to .zip and unpacked it. Inside the ZIP was another xva with the same name (Citrix_License_Server_VPX_v11.10.0_Build_12002.xva). One Response for "Convert Citrix License Server VPX to OVF"
Good read Remko. Too bad Citrix does not provide us with a License Server VPX for VMware or Hyper-V.